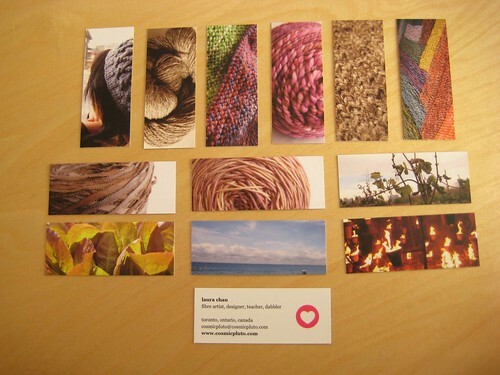 Only tangentially knitting-related, I just got my first batch of Moo cards! I got twelve different images, mostly yarn/knitting, but a couple garden and other (the water and fire photos). I love them to bits! They’re so tiny and cute! I also picked up a little red felt holder at the same time, which holds about 14 cards. But once I held the cards, I knew I wanted something a little heftier. So I just ordered a leather MooPocket from Etsy! Gosh I love the handmade. I could’ve sewn a holder myself, but meh. Not really up to it. 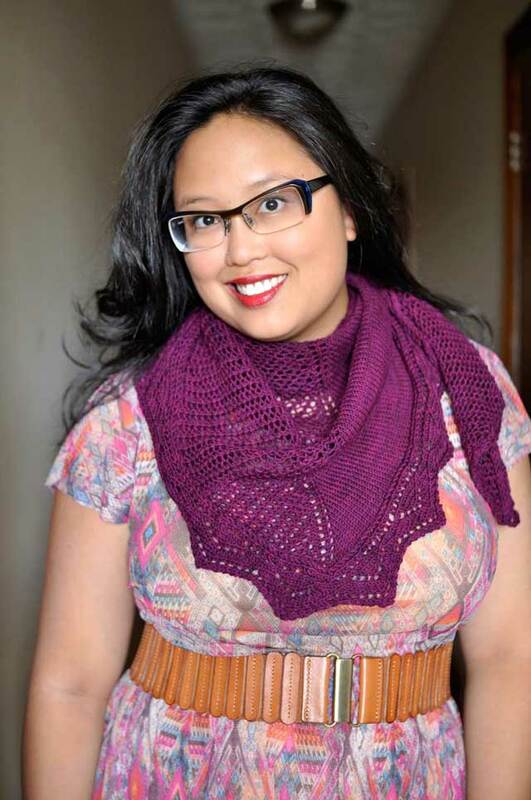 In knitting news….I am knitting. A lot. But I can’t tell you about it yet : ( All will come to light soon! Okay, so flourless chocolate cake is *done*, perhaps to the point of overkill. 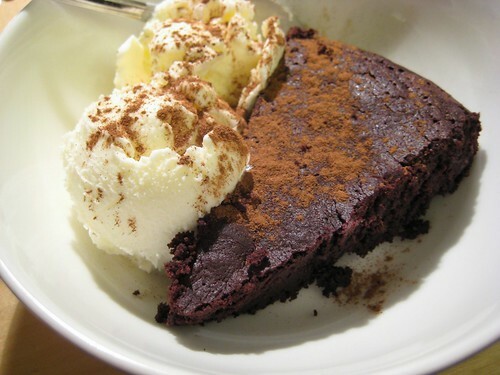 But this particular one is a new classic recipe in my repertoire – it makes a nice small cake, doesn’t use a huge amount of eggs, is rich and chocolately and not too sweet, and it has a great dense texture. Kind of like a brownie, but a bit denser than I like my brownies. It’s also gluten-free. And I baked it in the toaster oven! 1. Preheat your oven (or toaster oven) to 300 degrees F and grease an 8″ round baking dish (I used Pyrex). 2. Melt the chocolate (chopped) and butter together in the microwave or over a double boiler in a large-ish bowl. 3. Mix in the sugar, cocoa, vanilla and eggs until smooth. 4. Pour it into the pan and bake for approximately 30 minutes. That’s it! Super simple. For best effect, serve warm with vanilla ice cream and a generous sprinkling of cinnamon over everything. Yum! OMG!! these are soo cool! Love the mini cards!! I’m seriously considering to get some myself. 19.99 for 100, that’s awesome! Hey, I’m de-lurking to say that Splatgirl (the maker of the leather moo-pocket) has two really great blogs – Splatgirl Creates and Modern in MN. I think I’ll try that cake this week. Thanks for the recipe! Wow – those MooCards are adorable. They’re so cute I’m not sure how you could even pass them out. That flourless chocolate cake looks evil and delicious. These cards are great – have you used your own pictures or you let them select some for you ??? Thank you for the recipe – that looks delicious! I’m thinking of visiting Toronto – want to meet up? The cards look like fun! Thanks for the cake recipe… as a gluten free-er, I’m looking forward to trying it! I love moo cards!! Yours are beautiful! I love the Moo Cards! Your photos are wonderful! I am Inspired! Cute! Cake looks so good. I love those Moo cards! I’ve got to get me some. ooh…..I’m eagerly awaiting the Moo cards I ordered too!!! After seeing yours I’m even MORE excited! YAY! Those cards turned out so cute! I love them! 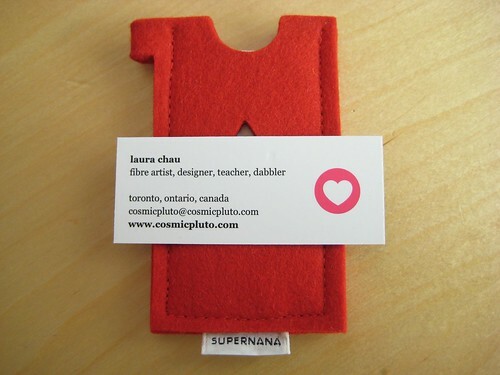 I love Moo cards – I just got my second batch last week and I ordered the red holder too! The Moo cards reminded me that I should think about redesigning my business cards (when I was doing a lot more web design, I had cards that one of my graphic artist friends helped me to put together). Making my own business cards was pretty fun even though I would never want to make a 100 of them at a time. What on earth are Moo cards? And where have I been? I gather that they are like mini business cards, but when did they become something everyone wants and knows about? I gotta get with it. Those cards are great. I especially like the garter stitch in the top row, third from the left. And that recipe? I am going to be in chocolate heaven! perfect dessert for Passover, too! All these pictures of food late at night – I am so hungry! I was feeling a little down today, made this cake and I’m feeling great! Chocolate is the best medicine, no? Thanks again! Like your new cards too!